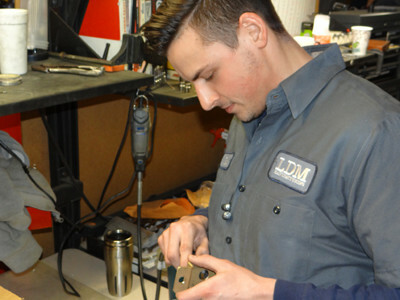 PLAINVILLE – LDM Manufacturing, Inc. is a family owned company with a focus on milling and lade machines. The eight-employee-business started as Larry's Marine Works in 1988, transitioning to LDM Manufacturing, LLC in 1994 and later becoming LDM Manufacturing, INC in 2015. The company is now owned by Julie DeSimone and her two siblings. The company manufactures both plastic and metal, for United States customers only. Some of their local customers are Gems Sensors & Controls in Plainville and B & F Machine Co. in New Britain. “They provide us with drawings and we will make one piece for them, or we will make 10 thousand pieces for them,” DeSimone said. As of September 30, 2018, LDM Manufacturing is a majority women owned company and will be applying for a minority owned business this year. The company has worked with technical schools in the past, hiring teachers’ recommended students for the summer. According to DeSimone, there are many challenges in the industry including finding skilled workers. The company tries to stay competitive by offering benefits such as an Individual Retirement Account (IRA) contribution, holiday and vacation time. “We are trying to make sure that they are comfortable and happy in that aspect,” DeSimone said. 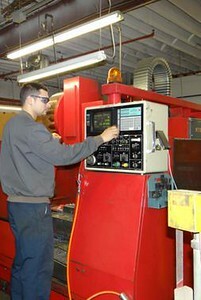 To learn more about LDM Manufacturing, call 860-410-9804 or visit their website at www.ldmmanufacturing.com . Posted in New Britain Herald, Business, General News, on Monday, 21 January 2019 19:27. Updated: Monday, 21 January 2019 19:30.